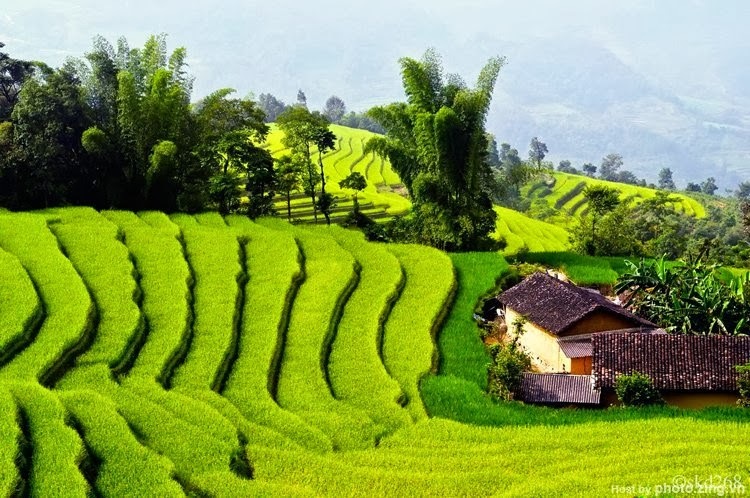 Talk about colour of Sapa , which color would you choose ? The green leaves of plants or yellow when ripe rice terraced fields of ... To me , Sapa impressed not only the color of clouds , the mountains , the heavens and the earth , the flowers, the grass that I was overwhelmed by colorful costumes of ethnic minorities here as Mong, Dao , Giay & beauty of the soul Sapa . Indigo , red dresses flooded the town of Sa Pa - a famous tourist attraction in North Vietnam . From the oldest to the little babies are very strict compliance culture very picky from head to toe and textures unique to each pattern, stitch the nose only . Looming in the fog , the woman wearing bow bearer plugged steps . The colorful head scarves and colorful dresses made ​​of bright vivid touches on the street . 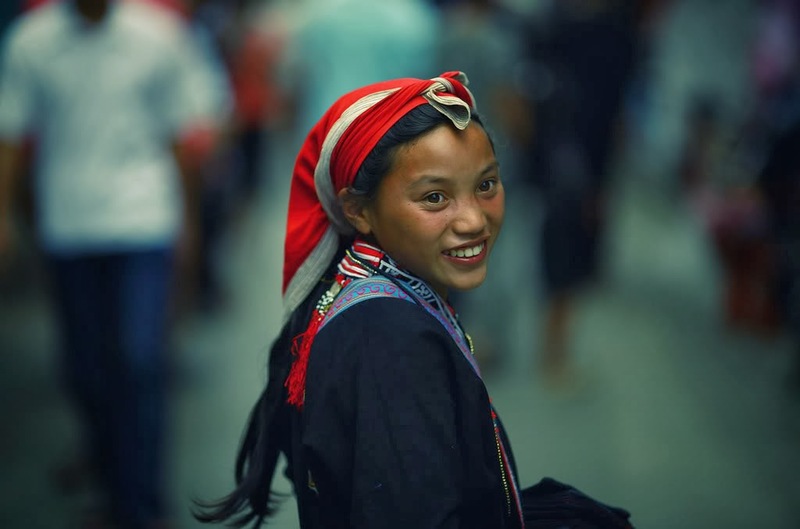 H’mong people wear white dresses with colorful flowers . The Red Dao girl red turban studded red tassels . Black H’mong black turban , black shirt , black short pants to his knees , legs wrapped black leggings . The Po Sa skirt or pants, short sleeve patterned border ... They sell goods and brocade , bought the necessary supplies . Each ethnic group has a separate outfits . Looking clothes can understand that there are people , wealthy or not , women in the skilled or awkward . 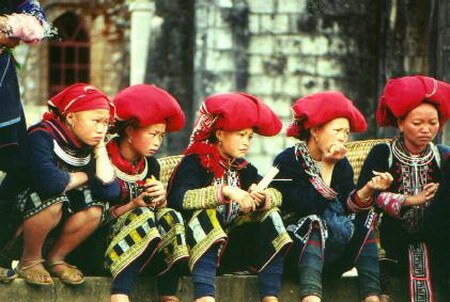 In the tranquil surroundings of unspoiled mountain in Northern Vietnam , we also see the girls sitting porch , embroidery hard . Seeing a stranger, and she smiled happily . The innocent baby wearing small shoulder bags , these rings offer the visitor to " buy for me , buy from me only $ 1, buy from me only $1 " emits sounds make me have a cozy little ... not pity that I have seen in other small heart is a hard man , help hardworking families of the living . Sa Pa will pick you up by the feeble rays struggle through the fog layer just enough to illuminate the road in front of a few meters . But in a moment , as though someone had taken off the crowd, blind lever and pull on the white clouds across the old church , to Sa Pa bursts of golden sun of autumn mountain . 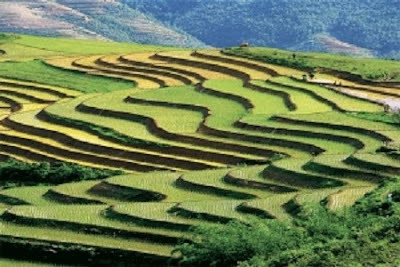 So what are we waiting , let's begin the journey to explore Sa Pa tourism and search your favorite color at this place and you will have the exciting experience himself . and each minute of your journey is update into a DVD which we want special offer for all private tour & group tour from 10 person. The most beautiful moment, memorable of Halong will be saved forever.